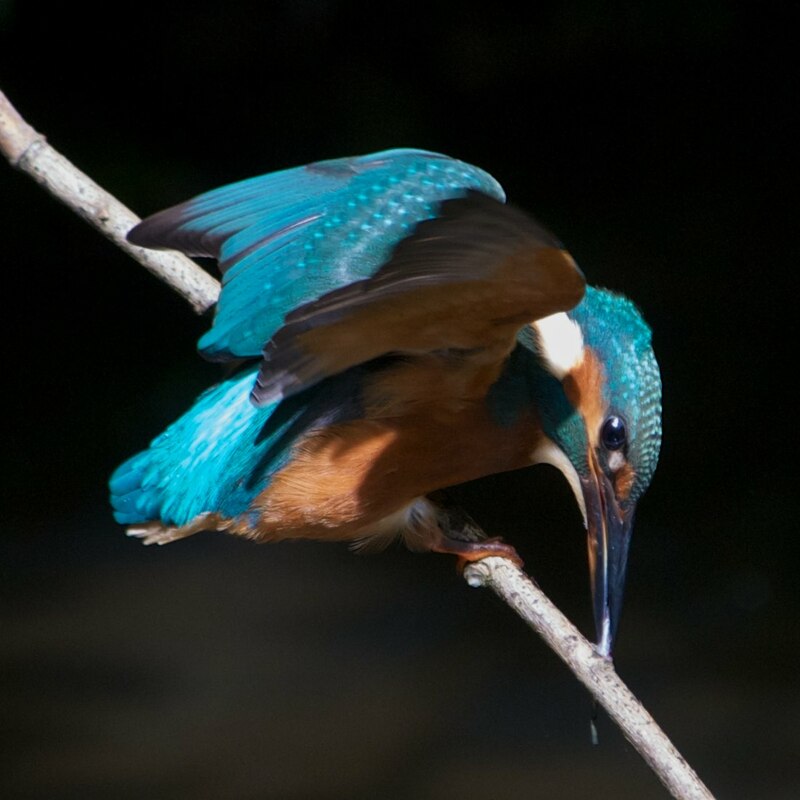 A kindly male kingfisher was in the mood for posing and I got possibly the best shots I ever have done. He spent a while over the pool in the middle of the site but then moved to the river at the back where he fished for a while and I got these pictures. 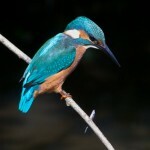 Interestingly he caught a fish then somehow attached it to the branch he was perching on. Perhaps it was tucked in a crook or impaled on a twig, and I really can’t be sure whether he meant it or not. He left it there. 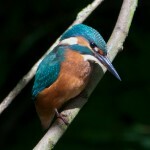 The pictures have come out with a slightly other-worldly almost flash-lit look to them as he was perched in a shaft of sunlight above the shady river. Also I messed up a bit with the camera and had to rescue it in post-production, which contributes to the look in a funny sort of way!